Tatcha Reviews - Is it a Scam or Legit? 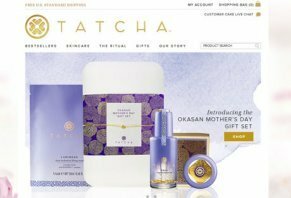 Founded by Victoria Tsai and based out of San Francisco, CA, Tatcha is a line of skincare products that claim to use centuries-old geisha “beauty rituals” to achieve soft, porcelain skin. The company manufactures a wide range of individual beauty products, in addition to “ritual sets” that can help address the needs of several different skin types. From a customer interaction standpoint, the company is not listed with the Better Business Bureau but does have more than 8,500 Facebook likes, nearly 2,000 Twitter followers, and almost 20 YouTube videos. Overall reviews of Tatcha products seem to be mixed, with the overwhelming majority of complaints referencing moderate to severe skin irritation—some of which required medical intervention. Based on detailed client reviews, this appears to be due to the use of “cheap filler” ingredients such as talc, which are not listed on the company’s website. Green Tea Complete DNA Extract – Helps protect your skin from premature aging due to UV damage. Okinawa Red Algae Extract – Helps your skin retain its moisture and improve its texture. Japanese Rice Bran Extract – This unique ingredient acts as both an anti-oxidant and a moisturizer. The company claims that after implementing the essential ingredients into your daily ritual, an 8-week independent clinical study confirmed a 70% reduction in pore size, a 60% decrease in wrinkle depth, a 50% reduction in the number of age spots, and a 155% moisturization increase. If you’re unsure which Tatcha beauty ritual is right for you, you can always contact one of their skincare specialists at (888) 739-2932 x1 during normal business hours. In addition, all full-size Tatcha orders also include three free product samples for you to try. If you’re unhappy with your Tatcha purchase for any reason, the company provides the opportunity to return it for a full refund—no questions asked. All domestic orders include complimentary returns, but you will need to either email the company at info@tatcha.com or give them a call at (888) 739-2932 x1, in order to obtain a prepaid return label. Products claimed to be modeled after centuries-old geisha beauty regimens. Claimed to be free of “bad” ingredients such as fragrances, parabens, DEA, and more. High price point, even when compared to similar products. Many consumers have complained of allergic reactions, some requiring medical attention. Numerous complaints that only active ingredients are listed on the company’s website. In other words, the company has been accused of using inexpensive “filler” ingredients in their products. The skincare line is wonderful. Like any other skin product, it may or may not work for you. This works for my skin type. Oily, combination. I am of Mongolian, Korean, Filipino, Chinese, Spanish and Japanese descent. I have had troubles with my skin since a young age and it has left me with enlarged pore size. This skin care line makes my skin bright and clear, however it has only been a couple of weeks. So I have yet to see if in the long term it really improves my skin or if I become allergic (hopefully not). Either way, Tatcha has helped me on my Kodawari. My unrelenting pursuit for my beautiful, balanced, happy and destined self. The colors, casing and quality of these products are simply beautiful. I am enamored. The Best Skincare Line, Ever! I stumbled upon Tatcha about two years ago. I was searching for blotting papers on Sephora's website when I saw Tatcha listed. The reviews were phenomenal, and instinctively, I searched them on the web and found their website. I felt like a kid in a candy store while I was browsing their then-few products. I wasn't ready to commit to a skincare line (I was seventeen-years-old), so I bought their blotting papers and used a promo code they had emailed to me for a VIP Sampler of their four-step skincare line. The shipping was free and they even hand wrote a welcome note on the invoice. I used their sampler and I was absolutely amazed! My skin was soft, hydrated, and extremely smooth. And their blotting papers are among the best I've ever used! I was absolutely hooked. Now, Tatcha is the ONLY skincare line I use. Yes, the price is hefty, but they last an impressive amount of time. For me, the products last about four and a half months. It's definitely worth every penny. I've tried almost every product in their stellar line and I LOVE every single product. I'm writing this in January of 2017 but have been using Tatcha for at least two full years. I have found no fake ingredients or hiding of any product content. In fact, they are pretty straightforward in their marketing. A fair amount of their products are fragrance-free on their own, while others have a natural fragrance. They are expanding, and the hits keep coming. I really like this line! The rice exfoliant comes in 4 colors or skin types, and the cleansing oil is amazing. As far as Indigo, yes they use real indigo in that part of their line, and it really takes away redness and calms problem skin down. Even better is that all of their Indigo products are a beautiful blue hue that's natural. They don't make too good to be true statements! Just well organized, good ingredients, and an all around experience. I certainly have my Tatcha favorites but have tried everything. Remember, not every single product or line will work for every single person. Visit them on your own and have fun! This was my recent order: Indigo hand lotion, Indigo body creme, new hand made camellia-based bars, pore perfecting water gel moisturizer, luminous memory serum concentrate & their beauty oil. Being Filippino, I decided to try the K-Beauty products that are now gaining popularity, so I started looking around and was kind of overwhelmed. I tried to search for what the EXPERTS use. I had never heard of Tatcha before and I actually found them after I read an ALLURE article - https://www.allure.com/story/the-cost-of-allure-editors-beauty-routines. I never knew what an ESSENCE was, or even that I needed it more than ever now that I'm over age 50. I started with the Camilia Cleansing oil, and I have to say I am 100% in LOVE with it! No oily feeling afterward, and a fresh scent. I've since tried the Enzyme Rice Power (also LOVE), the eye cream and a sample of the AGELESS cream. Needless to say, I'm a believer and am slowly switching over my entire skincare line. I think the camellia oil is the best and gentlest makeup remover I’ve ever used. It doesn’t sting my eyes and melts the mascara right off. Even when I use this alone, my skin never feels oily. I usually use the rice powder cleanser afterward, and it too is very gentle. It never feels rough or uncomfortable on my skin. My adult daughter who has sensitive skin really loves this product too. It’s one of the few facial products that doesn’t bother her skin. I bought the eye cream for my mom, and she really likes it. Also, the hand cream is one of my favorites. It isn’t oily or perfumy. It is a bit pricey though. The pore refining sunscreen works great alone or under makeup. Write a Review for Tatcha!